Due to the limited number of participants arriving on Saturday, individual arrangements must be made with AKTINA TRAVEL (contact Ms. Filippa Aroni at filippa.aroni@aktinatravelgroup.com), with an extra charge. Charges will depend on the number of participants. A Group transfer will be arranged for early evening at approximately 19:30, through mini-vans or taxis. For participants arriving later, individual arrangements must be made with Ms. Filippa Aroni with an extra charge. Charges will depend on the number of participants. Late transfers will be arranged through mini-vans or taxis. Due to the limited number of participants arriving on Monday, individual arrangements must be made with Ms. Filippa Aroni with an extra charge, Transfers will be arranged through mini-vans or taxis and charges will depend on the number of participants. A group transfer will be arranged with an extra charge for evening arrivals at approximately 20:30, through mini-vans or taxis. Due to the limited number of participants arriving on these days, individual arrangements must be made with Ms. Filippa Aroni with an extra charge, through mini-vans or taxis. Charges will depend on number of participants. Due to the limited number of participants departing between Sunday to Thursday, individual arrangements must be made with Ms. Filippa Aroni with an extra charge. Charges will depend on the number of participants. To allow participants to catch midday flights, transfers will be arranged at approximately 08:00, through mini-vans or taxis. During the conference days (Monday-Friday) daily buses will depart at 07:30 from the nearby village of Marathoupolis to accommodate participants that have booked rooms in the nearby hotels to reach the venue. Similarly, during the conference days (Monday to Thursday) daily buses will depart from the venue at 19:00 and take participants back to their hotels at Marathoupolis. To accommodate the conference participants that are staying at the venue hotel at Costa Navarino to visit the nearby village of Pylos and have dinner at traditional taverns in the area, buses will depart daily at 19:30. The buses will return to the venue hotel from Pylos at 21:30. To accommodate the conference participants that are staying in the suggested nearby hotels to come to the opening event at the Costa Navarino on Sunday (7/4) evening, buses will depart from the village of Marathoupolis at 19:30. At the end of the opening event, buses will depart from the Costa Navarino venue and return to Marathoupolis at 22:00. To accommodate conference participants that want to attend the closing event organised on Thursday (11/4) evening at a traditional fish restaurant at Marathoupolis, buses will depart from the Costa Navarino venue hotel to the closing event location at 20:00. Buses will return back to the Costa Navarino venue hotel at 23:30. Costa Navarino Westin Resort where the conference will be held is providing the majority of the rooms at privilege daily rate for the participants. The conference organizers in order to accommodate the conference participants have booked a number of rooms at the Costa Navarino Westin Resort and at selected hotels in the area for the days of the conference, that is from Sunday 7th of April to Friday 12th of April (check-out day). Requests for booking a room through the AKTINA website are accepted only for those dates. If you are interested to book a room for dates either prior or after the conference dates, contact AKTINA TRAVEL in order to arrange your booking and room rates. AKTINA TRAVEL will work to accommodate your requests, based on room availability. The rest of the rooms are distributed to hotels distant 10 minutes by car. The designated official accommodation partner for the ICMMPA 5 Conference is AKTINA TRAVEL. 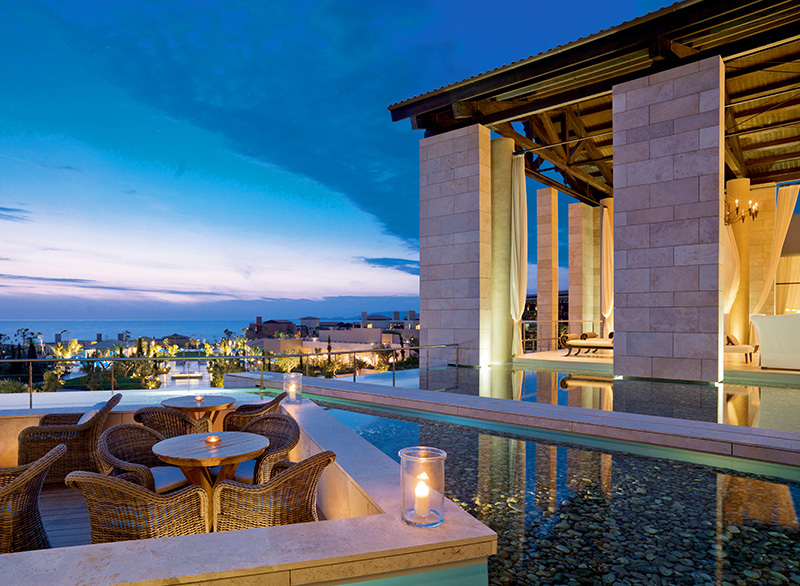 A number of hotel rooms in different priced categories have been reserved in the surrounding areas of Costa Navarino Westin Resort. All rates are per room, per night and include VAT. The rates for single and double occupancy differ and most rates include breakfast. Any additional expenses such as city tax, mini bar, telephone usage etc. will be paid at the hotel direct. Due to limited room availability in Pylos, we advise you to make your reservation as early as possible to have the best choice of available hotels. Hotel accommodation is subject to availability and will be allocated on a first come, first served basis. In order to secure your reservation a full prepayment is required the day of your booking. In case for any reason this payment is not accurate your booking will be automatically cancelled. Each hotel has its individual cancellation policy that will be available to you online once you book your hotel. In case of early departure the entire stay will be charged. In case of early arrival prior to official check in time reservations will need to be pre-registered for the previous night.